The Access It! Universal Server and Access It! 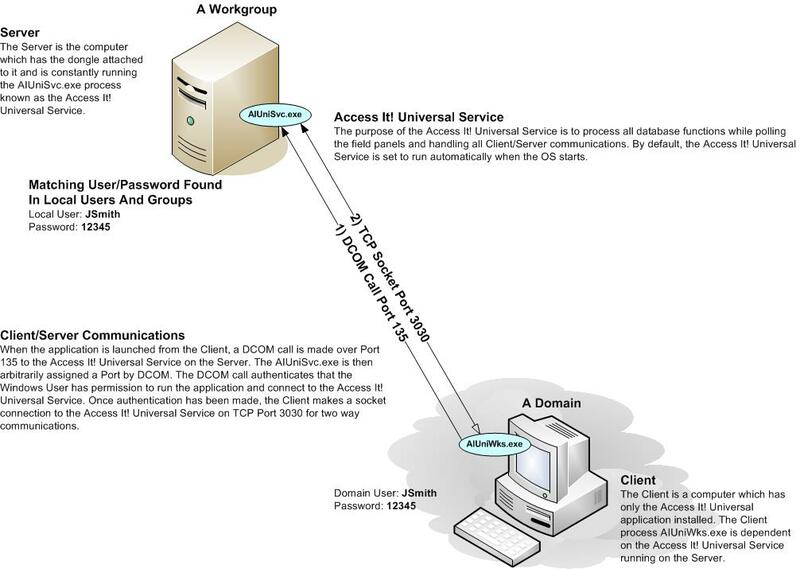 Universal Client are members of the same Microsoft Windows Domain. The following steps only need to be completed on the Server (the computer hosting the dongle). The Access It! 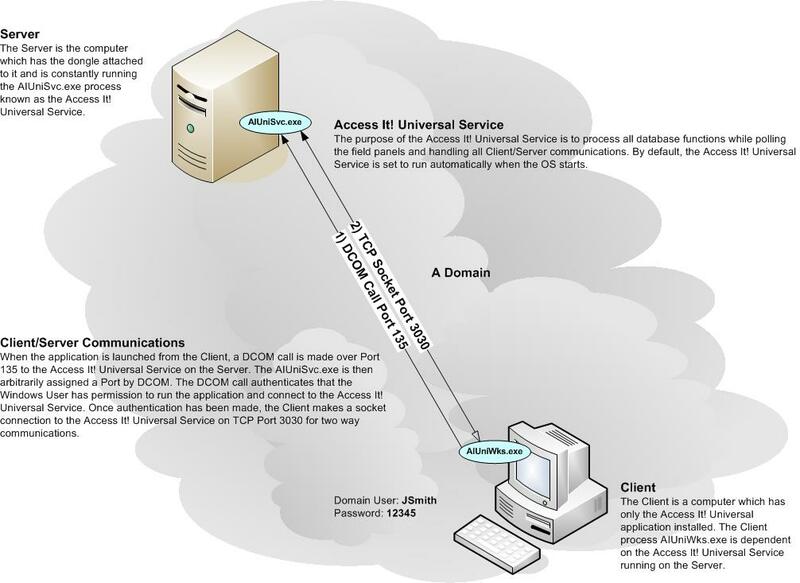 Universal Server and Access It! 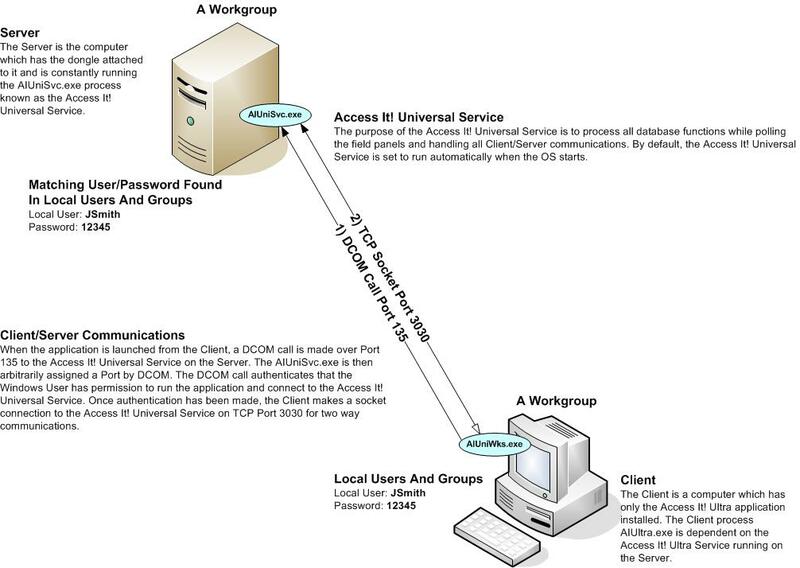 Universal Client are not members of the same Microsoft Windows Domain, or are members of a Workgroup environment. This option is typically last in the list. The Windows Username and Password that is being used to log into the Client computer must exist and match exactly as a Local User on the Server (the computer hosting the dongle). It is recommended these steps only be performed if DCOM port ranges must be limited.